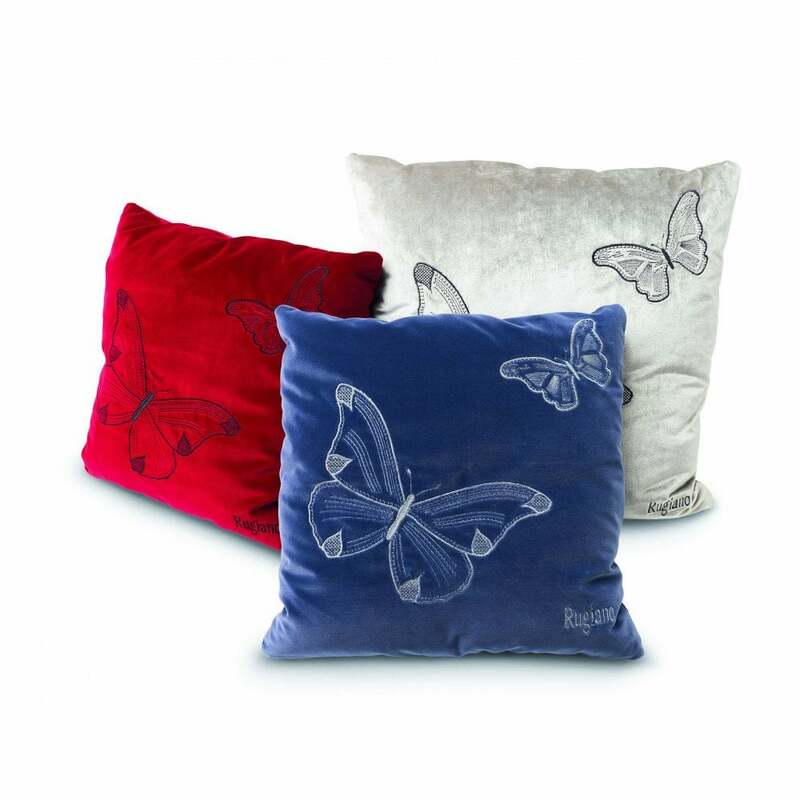 The Papillon Cushion by Rugiano Interiors is adorned with two hand-stitched butterflies and the Rugiano signature. Papillon is designed in a choice of Tessuto fabric or Pelle leather with contrasting thread. Choose a fabric with a slight shimmer for a luxurious finish or a smooth leather for a chic and minimal aesthetic. Pair with the Elle Cushion in a contrasting fabric for a layered look that adds personality and texture to your interior. Style with the Paris Sofa and Paris Armchair from the Rugiano collection to create a glamorous living room scheme inspired by the Art Deco era. Available in a variety of sizes. Samples can be ordered on request, make an enquiry for more information.